SAN FRANCISCO -- A Bay Area family is getting a Disney wish come true thanks to a local radio station. 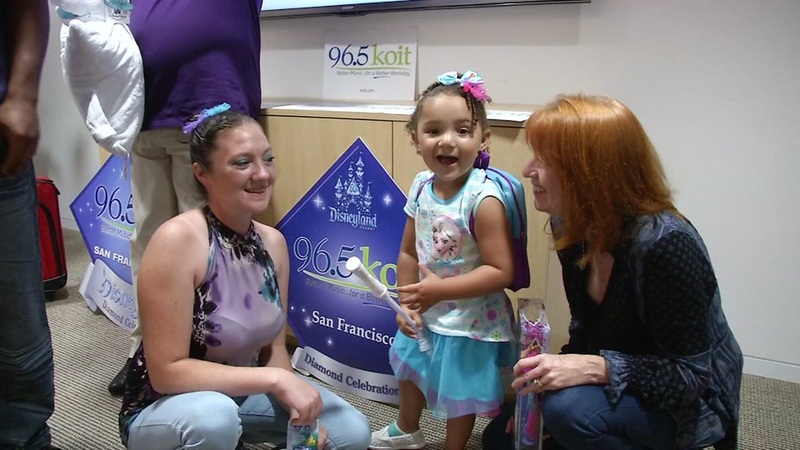 KOIT radio surprised 3-year-old Caliah Henry with a suitcase full of "Frozen" toys. Caliah's grandmother had called the station trying to win Disneyland tickets for Caliah, who's recovering from severe burns from a pot of boiling water. KOIT gave them four tickets. "It's amazing. It's awesome. I love it. I am thankful that she is healing progressively," said Taryn Westcott. Caliah has recovered well. Most of her scars have disappeared. She and her family also got a tour of the radio station, but Caliah was too shy to get behind the mic. Disney is a parent company of WABC.